Competition closes: 19 September 2017 at 23:59 Terms and Conditions Apply. 1.1. 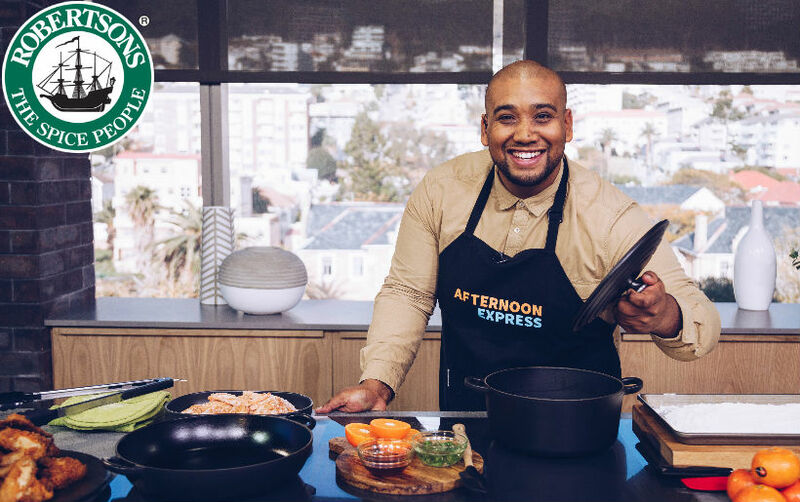 Win Tickets to Robertson’s Reinvention Kitchen Pop-Up Competition (Competition) will be run by Cardova Trading (Pty) Ltd in association with Unilever South Africa (Pty) Ltd. (collectively the organisers/we/us/our). Entries for the Competition will open at 16h00 on Monday, 18 September 2017 and will close at 23h59 on Tuesday, 19 September 2017 (Competition Period). 4.1. SMS the keyword "Robertsons” to 33650 within the Competition Period. 4.5. SMS' will be charged at R 1.50 (one rand and fifty cents) per SMS entry. Free or bundled SMS' do not apply. 5.1.1. We will randomly draw 4 (four) winners (Winner) by means of an automated system within 12 (twelve) hours from the closing date of the Competition. 5.1.2. We will contact the Winner within 12 (twelve) hours from the prize draw on the cell phone number from which the entry was sent. If a Winner is not contactable within 12 (twelve) hours from the prize draw, and after we have made at least 3 (three) attempts to contact the Winner, that Winner will forfeit the prize and we shall have the right to select a different Winner on the same conditions except that we will only be required to make 1 (one) attempt to contact each further Winner drawn. 5.1.3. Each Winner will be required to provide a copy of his/her Identification Document as required in terms of the Consumer Protection Act, 68 of 2008. If the Winner fails to provide a copy of his/her Identification Document within 3 (three) days from being requested to do so, the Winner will forfeit the Prize and shall have no claim against us. 6.1. Each Winner will receive 2 (two) tickets to attend 1 (one) night at the Robertson’s Reinvention Kitchen Pop-Up to be held at Melrose Arch in Johannesburg from 22 to 25 September 2017 (Tickets/Prize). 6.2.4. 25 September - Celebrating Pimento and Mexico with Robertsons and Vusi Ndlovu. 6.3. The Prize is limited to the Tickets only and excludes all items not specifically mentioned. Without limiting the generality of the aforesaid, the Prize does not include any travel or extras. 6.4. The use of the Tickets shall be subject to the standard terms and conditions for attending the Robertson’s Reinvention Kitchen Pop-Up at Melrose Arch. 6.5. We will contact each Winner per telephone to obtain all necessary information or to make all necessary arrangements for delivery and the Prize shall be delivered to the Winner at an address within the Republic of South Africa within 3 (three) weeks from confirmation of the Winner. 7.3. We reserve the right to amend these terms and conditions within the competition period should it be deemed necessary in our sole and unfettered discretion. 7.7. We will need to process your personal information to validate your entry as well as to contact you for marketing purposes and, if you are a Winner, to make the Prize available to you. By entering this Competition, you specifically and expressly consent to us processing your personal information for these purposes and contacting you for marketing purposes.